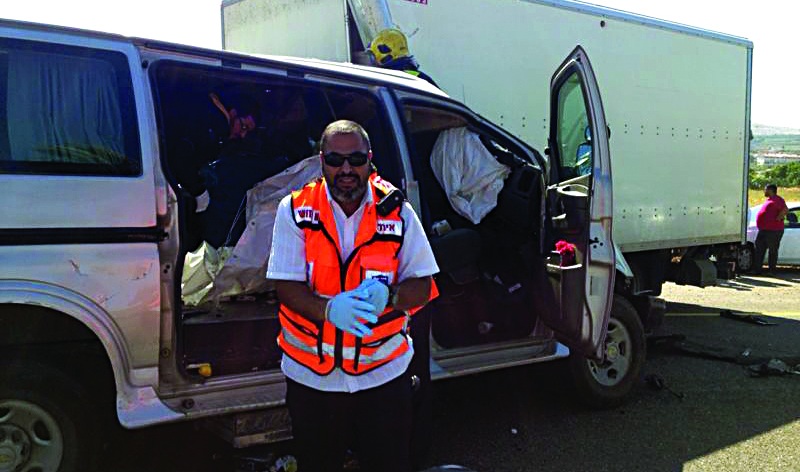 Health and safety officials were asking individuals to better supervise their children during Pesach cleaning after several incidents in which children were injured while assisting their parents or being in proximity to toxic cleaning materials. In Beitar Illit on Thursday, a two-year-old child was treated by Ichud Hatzalah after being injured by grease remover. The grease remover spilled on the child, causing burns. She was treated on site and then taken to Hadassah Ein Kerem Hospital in Yerushalayim for further treatment. On Wednesday night, a six-year-old in Bnei Brak suffered an electrical shock when he helped his parents clean a freezer. The child was apparently injured when he touched an exposed wire, jolting his body with electricity and burning him. Ichud Hatzalah volunteers arrived within minutes and treated the child, who, b’chasdei Shamayim, was injured only lightly. Ichud Hatzalah spokesman Nachman Tubol said that “we have already had many cases of burns and injuries from dangerous materials and situations in these days before Pesach. This time a child was electrocuted. It is very important for families to be very careful during pre-Pesach cleaning, and to take steps to avoid and prevent accidents,” he said.